Simon Kuznets Kharkiv National University of Economics is the leading higher education institution of Eastern Ukraine, which provides a full range of educational services, carrying out multistage training, retraining and upgrading experts’ skills in 23 specialties, such as Economics and Entrepreneurship, Management and Administration, Information Systems and Computer Science, Publishing and Printing Business. Information Systems Department has more than 40 professors, 1,000 students, is an active member of IT-Ukraine Association, Kharkiv IT-cluster, 15 professors are Microsoft certified specialists. Microsoft IT-Academy works since 2009, IBM Academic Centre "Smarter Commerce" – since 2012. Information Systems Department is a member of National Educational Methodical Commission in Information Systems and Computer Science. The Master Double Diploma Program MBA "Business Informatics" with the University of Lumiere Lyon-2, France, was established in 2005. According to research of SMBG Consulting Group the Program was included in the top 10 Master Programs in Business Intelligence in France in 2012–2015. 169 students have graduated from the Program. Simon Kuznets Kharkiv National University of Economics has about 12,000 students (including 800 foreign students), 780 faculty members and offers training primarily structured around the new teaching architecture of the higher education. 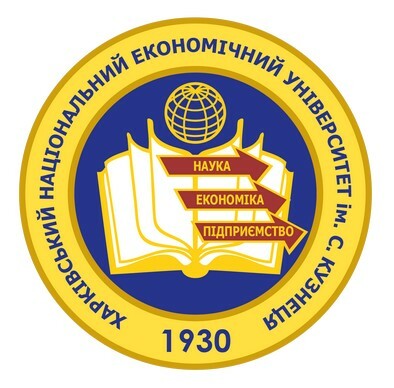 Simon Kuznets Kharkiv National University of Economics is ERCIS member since 2015.